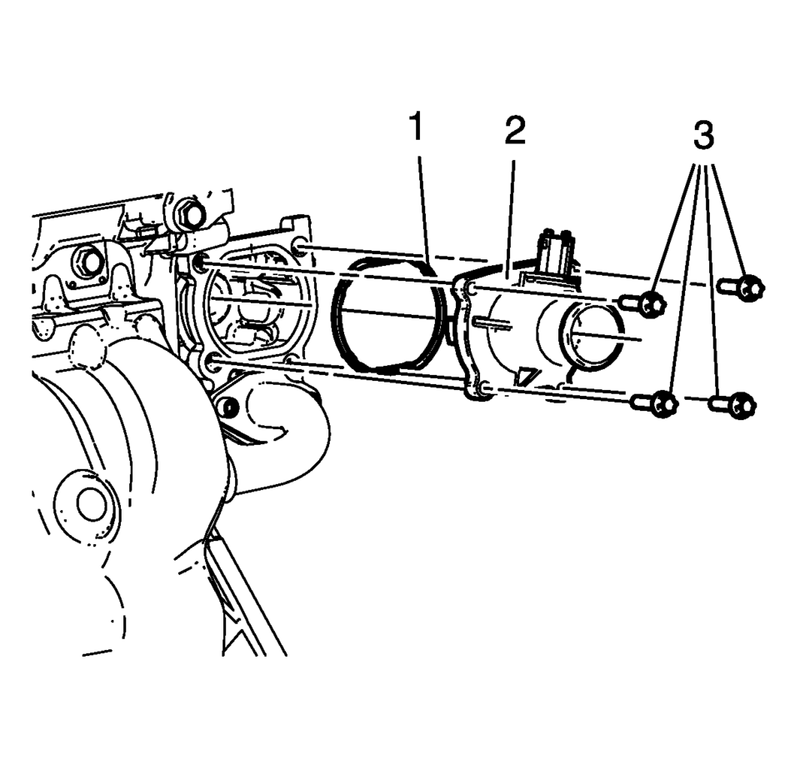 Refer to Engine Coolant Thermostat Housing Caution. Remove the 4 engine coolant thermostat bolts (3). Remove the engine coolant thermostat assembly (2). Remove the engine coolant seal (1).